Stiller is one of many A-listers to visit the area for humanitarian missions in recent years. If you've been keeping up with our newsfeed, you'll probably know that Ben Stiller visited Lebanon recently. The American actor just went on The Ellen Show to promote his TV drama "Escape at Dannemora," and he spoke of his visit to our country. Ben Stiller has been the UNHCR Goodwill Ambassador since July 2018. He has traveled to meet refugees in Germany, Jordan, Guatemala, and most recently to learn about UNHCR’s work in Lebanon. During his brief visit, Stiller called for urgent attention and funds to support Syrian refugees ahead of the eighth anniversary of the start of the Syria conflict. He was particularly moved by the resilience of the people he encountered, the incredible spirit and energy of the children, and the deep longing to return home of all the refugees with whom he spoke. Following his trip, Stiller wrote for TIME about his experiences, and also posted videos of the refugees he met – along with some memorable moments - on his social feeds. Ben has featured in a film alongside celebrities like Nishan, Bassem Youssef, Will Farrell, Stanley Tucci, and many others to encourage the public to sign a petition expressing solidarity with millions of people across the world driven from their homes by conflict and persecution. In Lebanon, life is a daily struggle for more than a million Syrian refugees who have little or no financial resources. Around 70% live below the poverty line. There are no formal refugee camps. As a result, these refugees are scattered throughout more than 2,100 urban and rural communities and locations, often sharing small basic lodgings in overcrowded conditions. 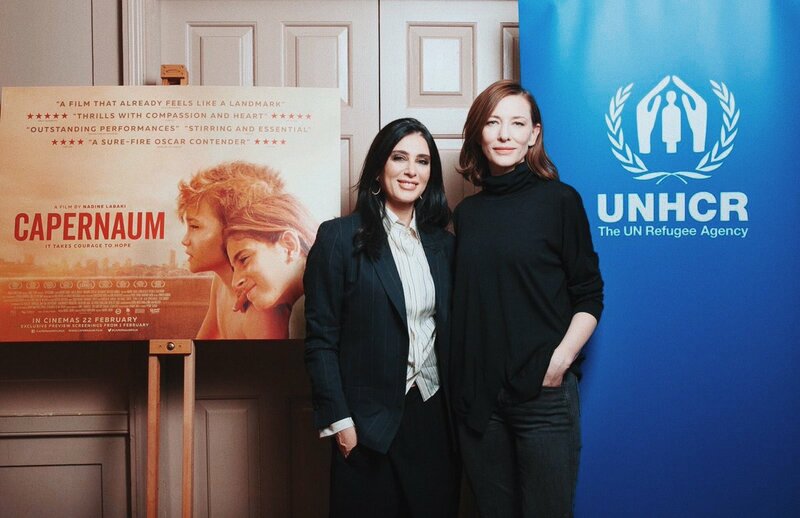 Other UNHCR ambassadors to visit Lebanon include British actor David Morrissey, Cate Blanchett, and Angelina Jolie who was appointed the UNHCR's Special Envoy in 2012. You can watch Stiller's visit on Ellen in the video below.